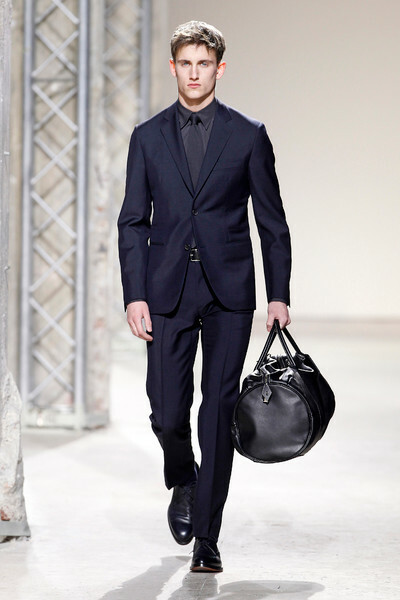 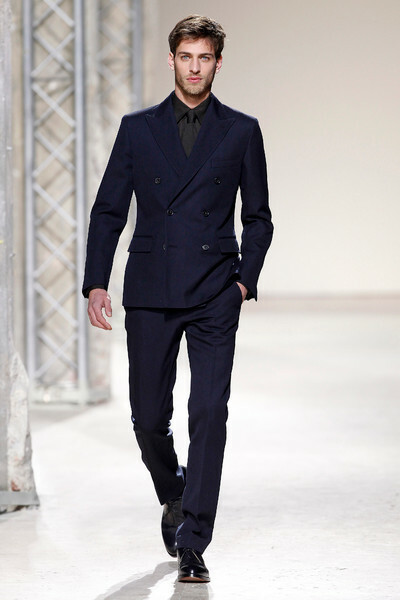 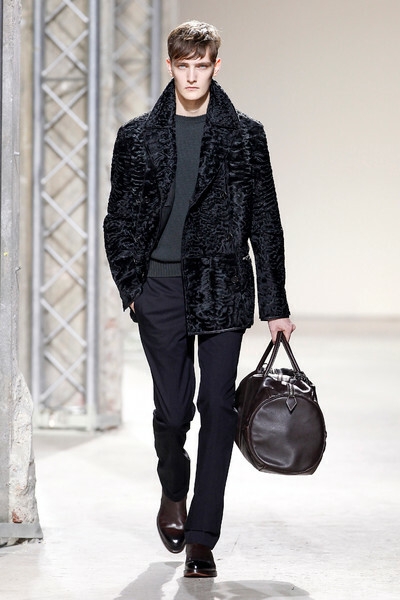 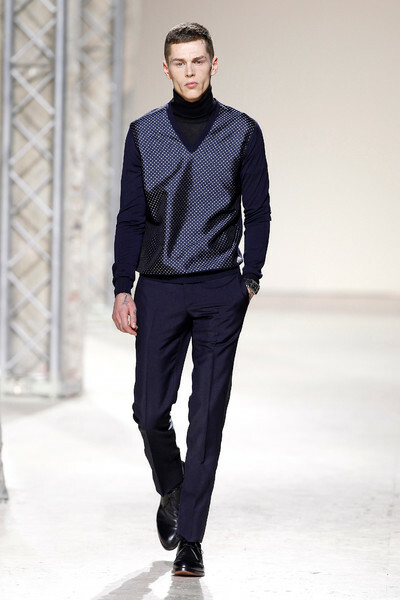 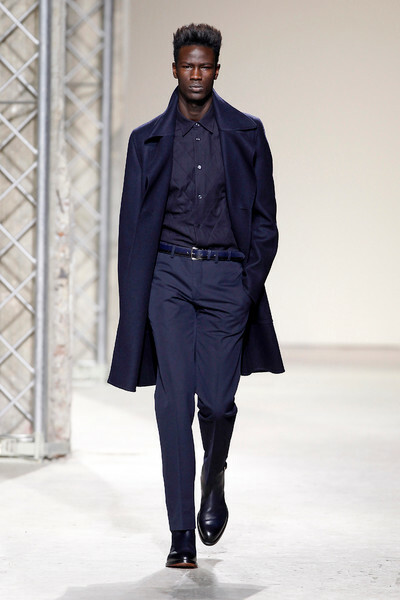 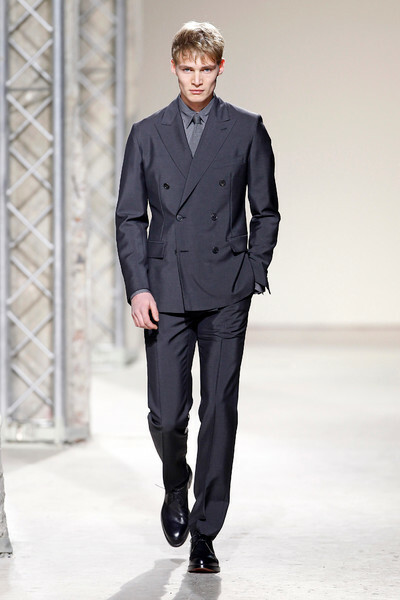 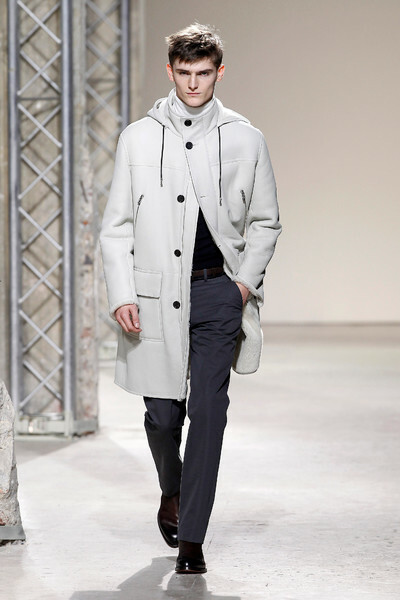 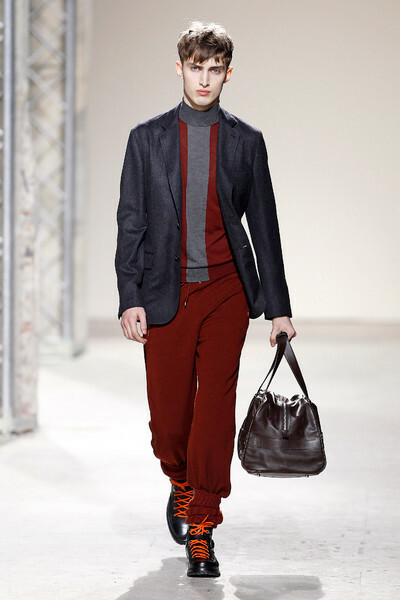 For fall Hermes took several fashion classics and gave them an unexpected new twist. 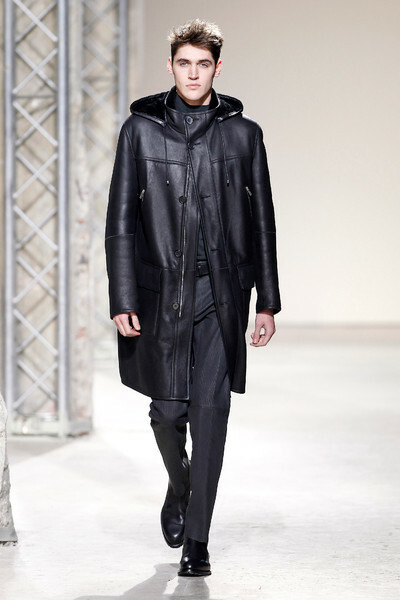 Like a navy trench coat that was double breasted and got an extra zipper. 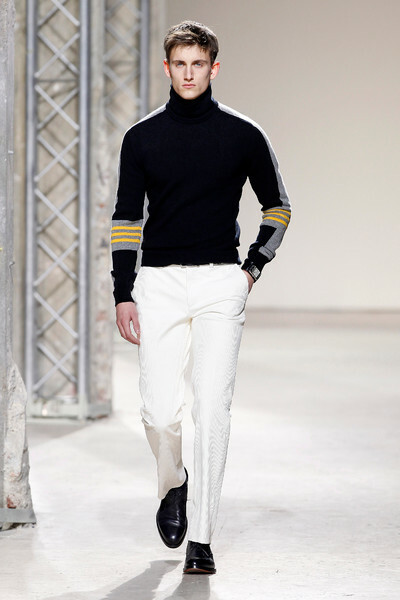 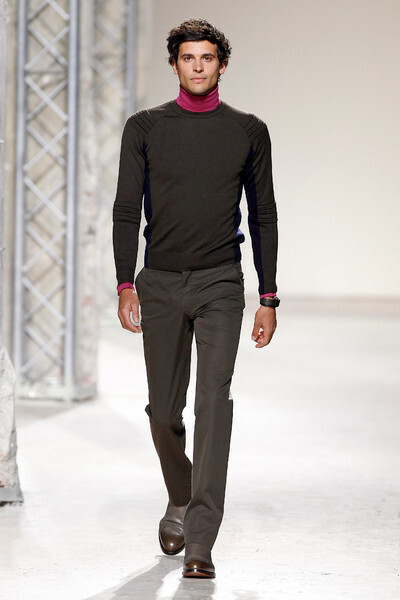 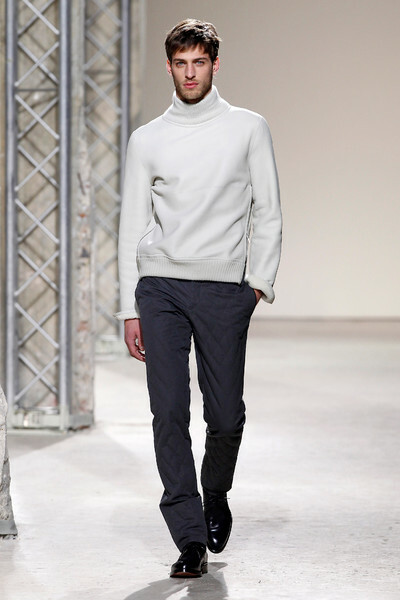 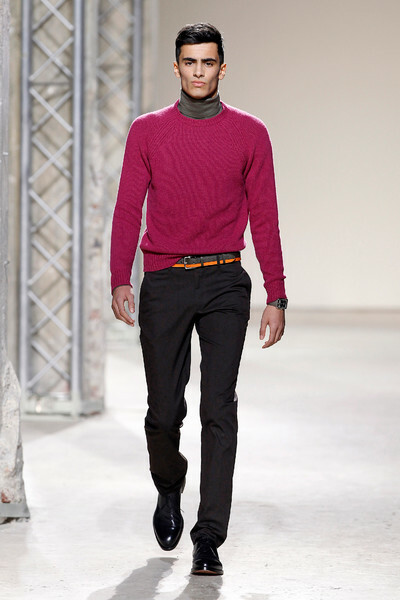 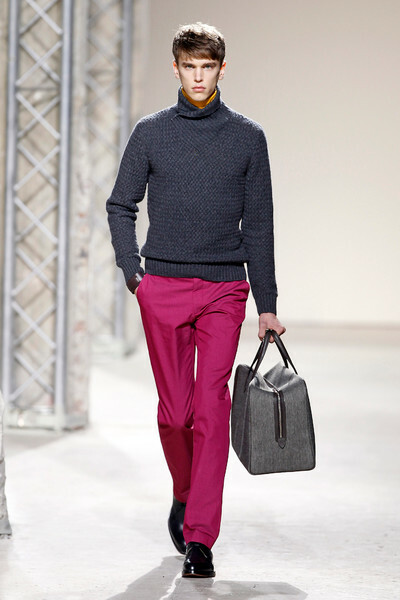 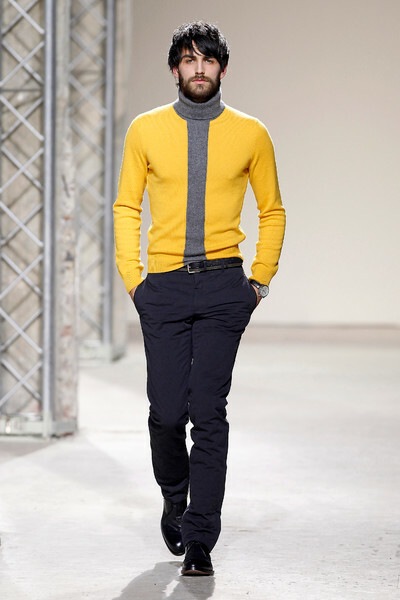 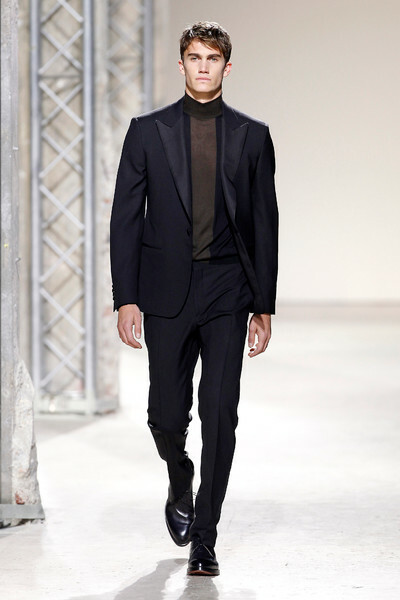 Or the pink sweater worn over a turtle neck, combined with an orange belt. 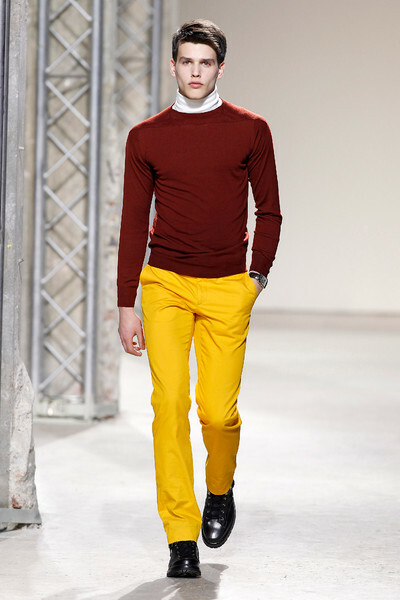 Not to mention the red jersey pants with matching jumper, yet contrasting orange shoes laces. 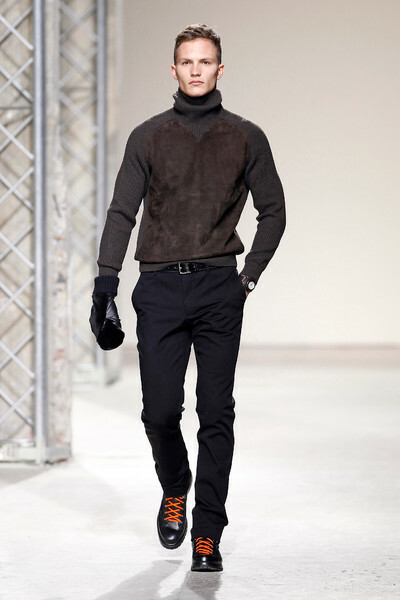 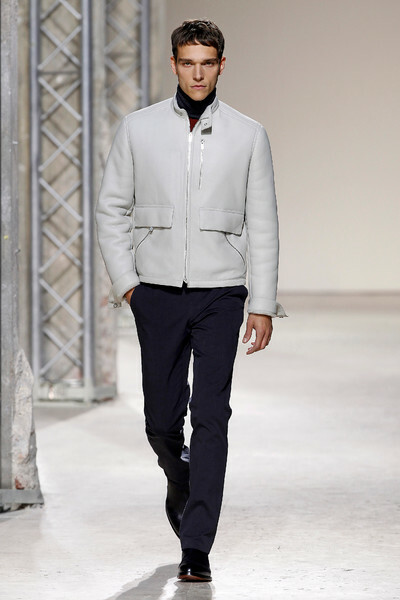 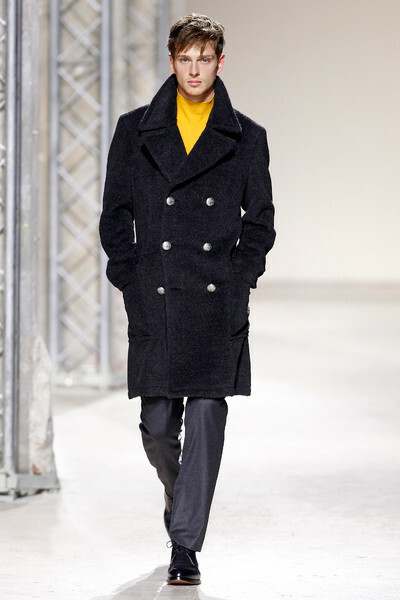 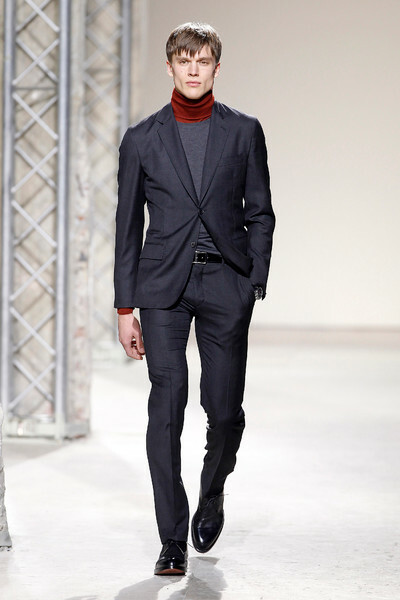 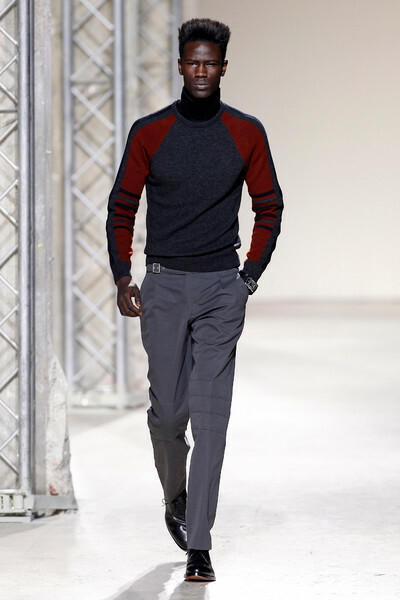 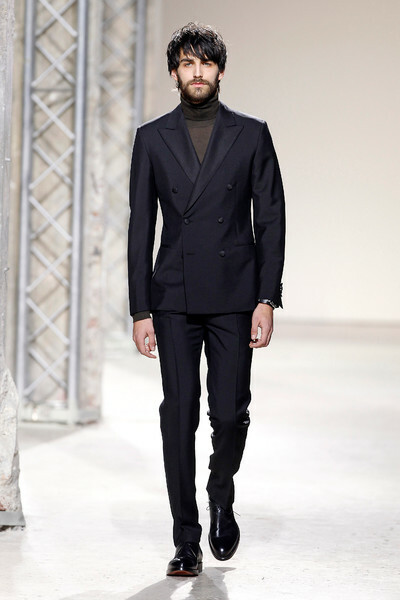 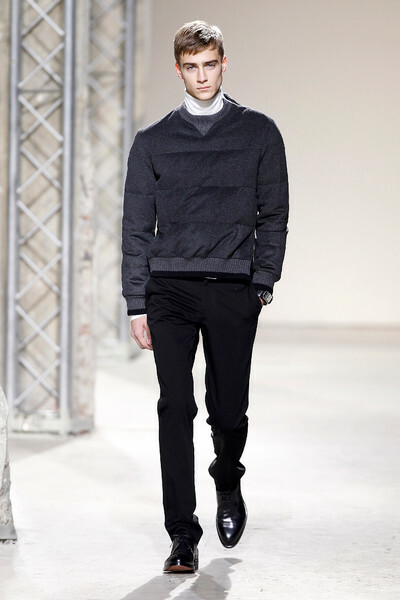 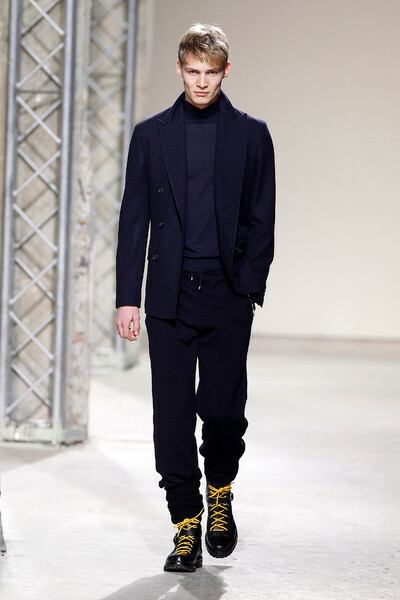 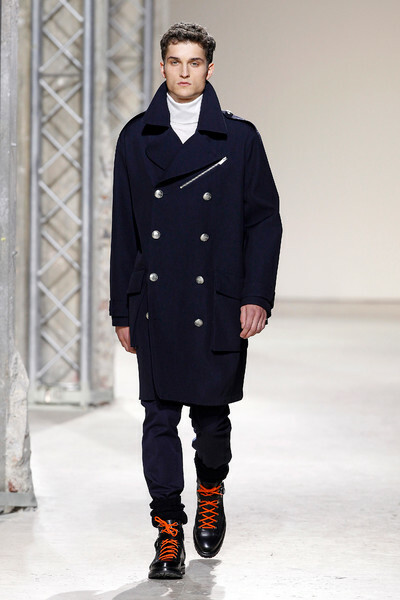 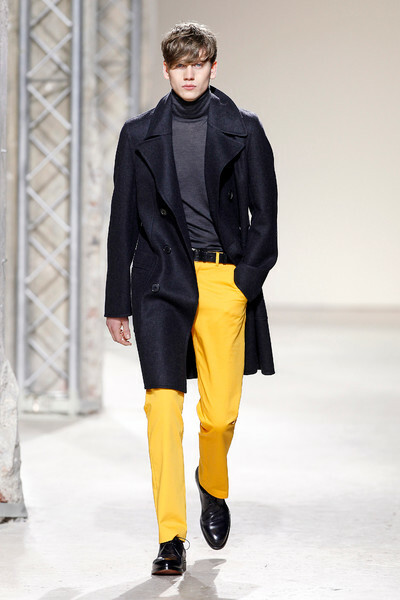 But despite these ‘odd’ accents, the Hermes man still is as properly dressed as ever come fall. 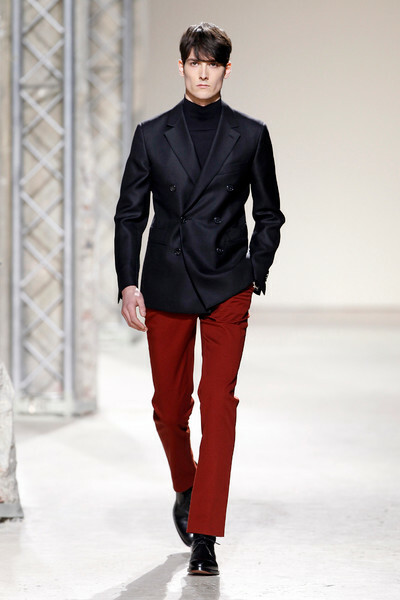 He’ll look sharp in his navy colored suits and casual in his cashmere sweaters. 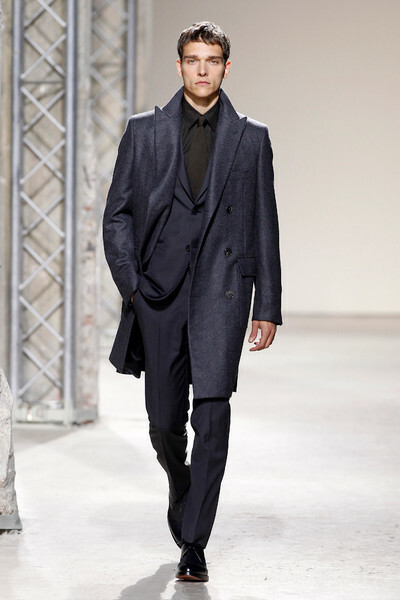 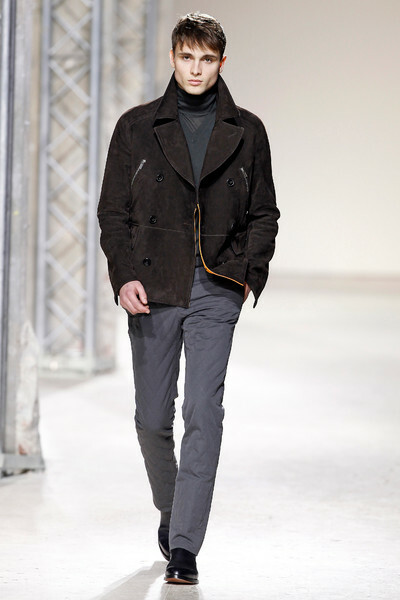 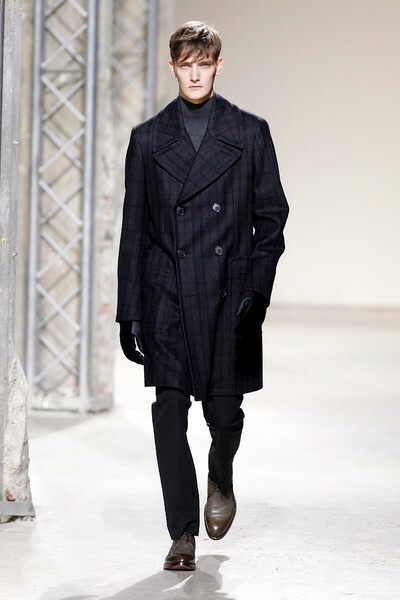 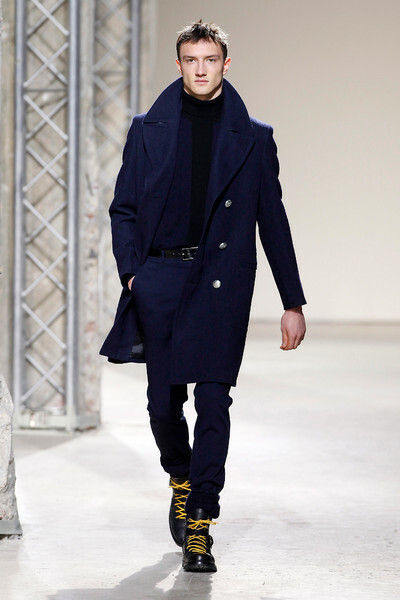 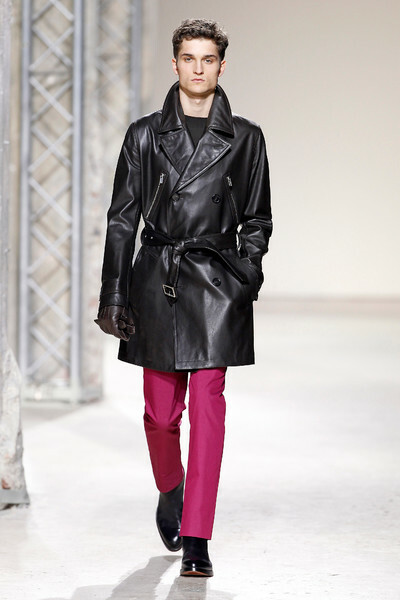 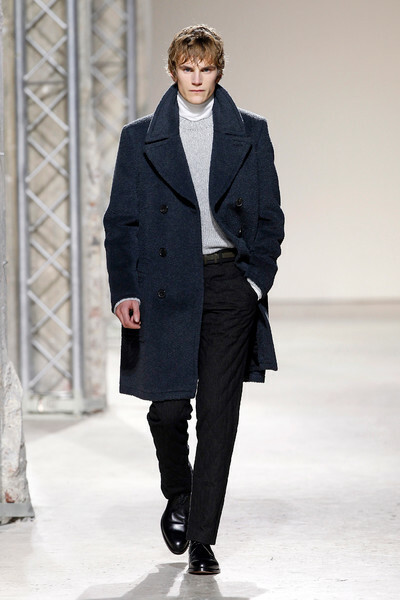 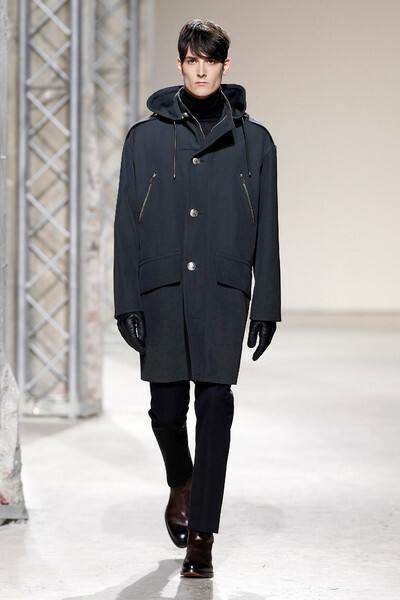 His leather pants and coats will give his style that edgy touch. 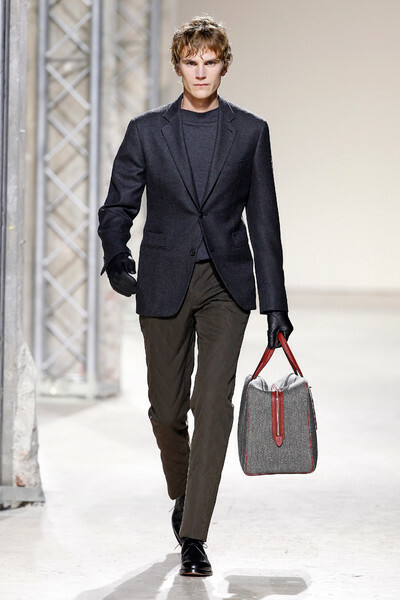 As perfect leather shoes, gloves and bags proof he is a man who cares about details. 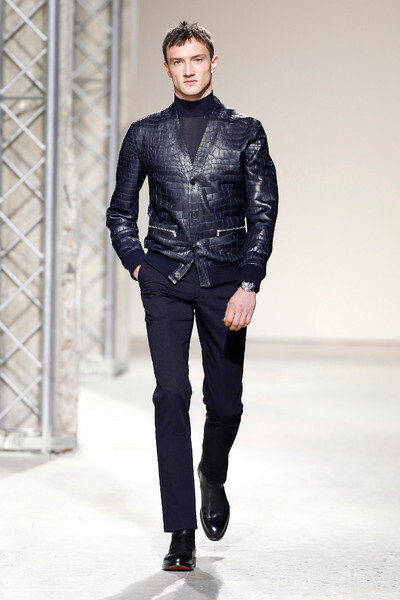 And the item that probably says the most about this man is his croc leather jacket; making him fashion forward, perhaps even trend setting.